It’s no surprise that Body By Ravi values aesthetics; therefore, the interiors could not be designed with any ordinary approach. The space needed to be original, contemporary and edgy- exuding the same confidence that patients do upon completion of their procedures. 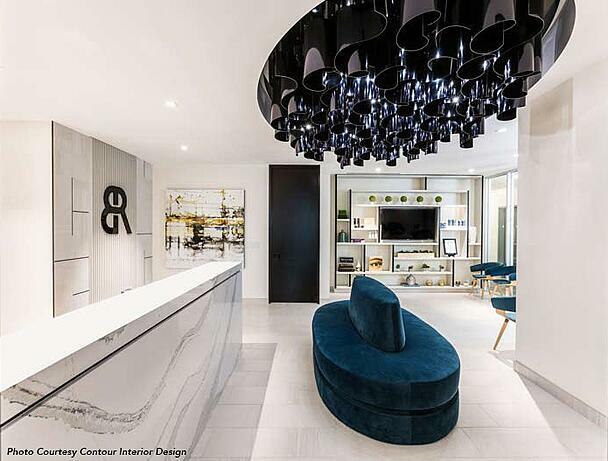 Our sculptural light fixture was a perfect representation of the company’s ideals. 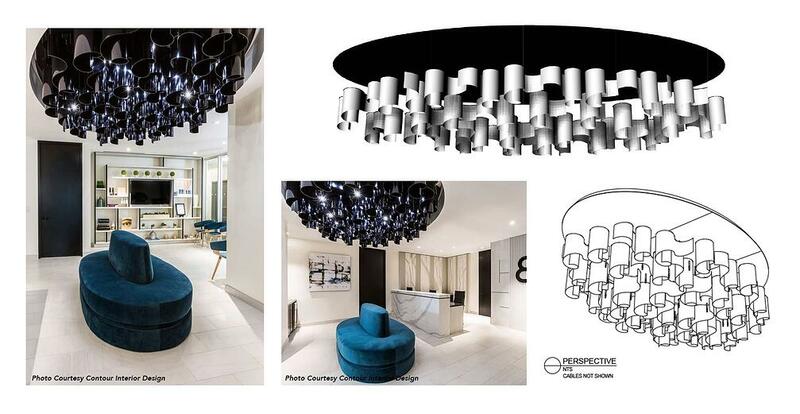 Suspended from a black mirror aluminum ceiling plate, the individual ‘curls’ were each heat bent and finished in a reflective black finish with LEDs dropping through the center for extra sparkle. Measuring 12’ x 8’ approximately, this sleek installation greets patients and assures them that there are no double chins here…just double takes!